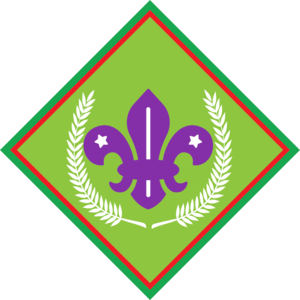 The First Class Advancement Level allows Scouts to learn to be a Patrol Leader by providing many leadership opportunities, such as planning and organising camps, hikes, and community service projects. Scouts learn more leadership skills compared to Discoverer. Plan and run a training exercise for at least three younger Scouts on three aspects of mapping skills, as agreed upon by your Troop Scouter. Plan and take your patrol on an expedition which is a hike / walk / non-motorised form of transport expedition of at least 20km (or equivalent). This expedition must be over two days and have an overnight component. Write a report of a minimum of ten pages that will be submitted within three weeks after completion of the expedition to your Scouter. Any other similar topic approved by your Scouter. Lead a discussion in your patrol on abuse and bullying at school or on the internet including how to protect younger Scouts or friends from abuse. Learn some basic self-preservation techniques/ strategies and train your Patrol in these self-preservation strategies/ techniques. Plan and run an overnight camp for at least three younger Scouts away from your Troop meeting place within the limits of your equipment. Similar device (approved by your Troop Scouter). Lead your Patrol in planning, cooking and serving a three-course hot meal to at least six people including a guest who will be your examiner. The meal must be cooked from raw ingredients and cooked on an open fire. Demonstrate an understanding of the essential components of a balanced and healthy diet and explain how your meal meets these criteria. Caring for a sick person (e.g. doing the shopping and mowing the grass). Helping at an old age or children’s home. Helping prepare a food garden. Helping younger children who are disadvantaged or who have disabilities with reading or homework (or other ongoing activities). Attain the Cub Instructor badge. Recruit two new Scouts or Cubs. Organise and run a recruitment drive or Scout marketing event. Be a full time staff member of a recognised PLTU course, with the approval of the Course Director for that course. This option is normally for those that have attended a PLTU course themselves as a participant. Give a presentation to your Troop on a National or International wildlife / environmental agency that has branches in South Africa. Discuss one of their local projects and how Scouts could get involved with environmental service. Complete the First Aid Interest badge. Lead your Patrol to obtain a Patrol activity badge (two Patrol Members have been attending Scouts for longer than a year). Lead your Patrol to obtain at least a bronze star Patrol award. Contribute to or maintain the Patrol / Troop log book or blog for a term. This should include at least 5 entries. Set up and man a static public display for the public on Scouting. This can be done at your Scout hall or other venue for at least one day. On your own or with another Scout, plan and lead a campfire that is at least 40 minutes long. Obtain one physical activity Interest badge. For example: Athlete, Physical Fitness, Sportsman, Archer, Master-at-Arms, Surfer, Canoeist, Hike Leader, etc. Plan and lead a friendship activity with a Patrol from another Troop. Discuss with your Patrol the concept of succession planning. After approval from your COH or Scouter develop and implement a plan to mentor the next Scout in line to you. This page was last modified on 9 April 2019, at 08:56.